In our continuing series on Healthcare Organization Brand Management, it is time to turn our attention to the importance of having your brand on display during face-to-face interactions with potential physician hires, suppliers, corporate partners, and most importantly the patients receiving care. As discussed in our previous post, your online presence has to support your brand in every aspect. At the same time, in-person interactions are just as, if not more important than what someone experiences when visiting a website or social media page. Context is diluted or lost online that is present in a conversation. Let’s explore ways that healthcare organizations can ensure that their brand is being supported in personal interactions. Sell Your Organization Brand from the Inside Out. The brand that your healthcare organization is building is not just an executive wing program based on feedback from a hired marketing firm. If your branding is truthful and reflective of organizational goals and values, then it must be embodied by every employee from staff working the information desk, to the medical professionals, all the way up to the C-suite. Your branding message should be clear, concise, and understood by everyone. How to Make Your Organization Brand Known. If the expectation is that your brand is on display within every face-to-face interaction between employees and those they are engaging, there should be a clear understanding for everyone on what the brand is and what the brand looks like. Most organizations who have undertaken efforts to develop a brand or re-brand, utilize brand ambassadors. Think Disney! Since 1965, Disney Resorts have used brand ambassadors to act as real-life examples of what Disney is all about. Your organization already has staff that embodies the qualities, skills, and values of your brand and they can be the catalyst for cultivating that brand attitude from the bottom up. Interviewing for Brand, Culture, and Fit. Competition for healthcare professionals, especially physicians, is fierce. Hospitals and healthcare organizations understand the costs of making the wrong hire and are re-doubling their efforts to find physicians who fit the culture and values they are building around. 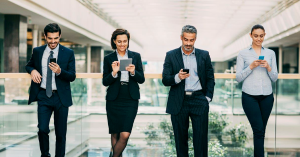 The surest way to hire individuals who will thrive in your culture and naturally embody your brand is to have your best brand ambassadors involved in the hiring process. You may have someone on your interview team with skills and knowledge that are critical to the organization but may not exemplify your brand outwardly. This person, while valuable to the organization, is not the best person to be involved in attracting the perfect physician to hire. Instead, make sure your brand is highly visible in those that are “selling” your organization to highly sought-after job candidates. The time, effort, and energy that has been invested in understanding, developing, and promoting your organizational brand has to be a consideration in any situation or interaction between an employee and someone who is not an employee. Whether it is a nurse collecting medical history, a physician explaining a medical condition to their patient, or recruiting staff working a table at the local job fair, your brand is always on display. 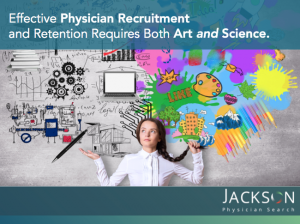 When you have hired the right people and shared your branding vision, organizational culture and values come across naturally and serve as an attractive selling point to potential job candidates, patients, and others.